Recently confirmed President of the New Zealand Recreational Fishing Council (NZRFC), Keith Ingram, is looking to reaffirm the Council’s mandate in regard to recreational fishing interests … and take up any new opportunities offered in support of the New Zealand Initiative Recreational Fisheries Report to be released in Wellington on Monday December 4th. 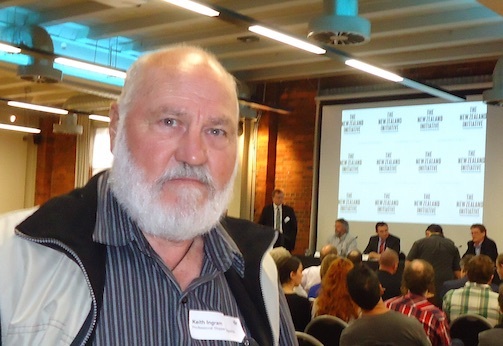 Mr Ingram, and NZRFC Executive Officer, Margaret Wind, will be in Wellington for the presentation of the Report which will be introduced by new Minister of Fisheries, The Hon Stuart Nash. “The Minister clearly has a strong interest in the New Zealand Initiative findings and the NZ Recreational Fishing Council regards the impending report as being a catalyst for improving fisheries management in New Zealand and further consolidating recreational fishing rights and opportunities” said Mr. Ingram today. There are some real lessons to be learnt from how Recfishwest has developed over the last few years and the positive results they are achieving for recreational fishers in Western Australia. There is no doubt in our mind that Western Australian recreational fishers have the upper hand when compared with other stakeholders. The NZRFC looks forward to recreational fishers playing a more active role in fisheries management decision making in New Zealand, with the support of an adequately funded peak representative body. The NZ Recreational Fishing Council is a confederation of amateur fishers, freshwater angling, fishing and dive clubs actively promoting responsible and sustainable management practices. The Council remains a foundation member of the National Rock Lobster Management Group, established in 1993 to be the primary source of lobster fisheries management advice to Ministers. The Council has very strong regional linkages through both the North and South Islands and has continued to represent recreational fishers on these forum groups for a number of years. Despite the reasonably low public profile of the Council in recent years, demand for increased advocacy and representation of fishers has lead to the development of a new 10 year strategic plan, one that sees positive engagement with all fishing sectors to encourage ongoing sustainablilty.